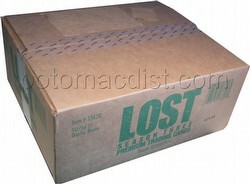 Each case contains 10 boxes. 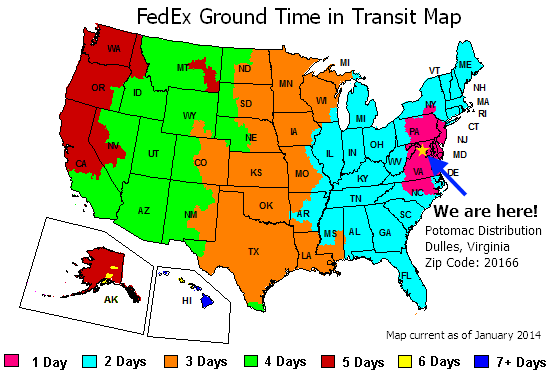 Each box contains 36 packs. Each pack contains 7 cards. 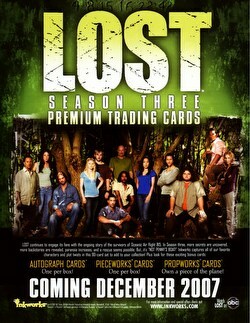 In addition to the 90-card base set, Lost Season 3 features 1 autograph and 1 Pieceworks card per box! 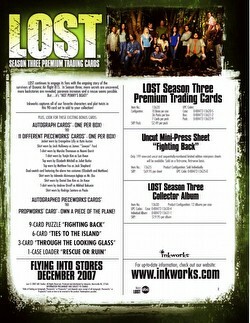 Insert cards include Propworks cards (featuring a piece of the plane! 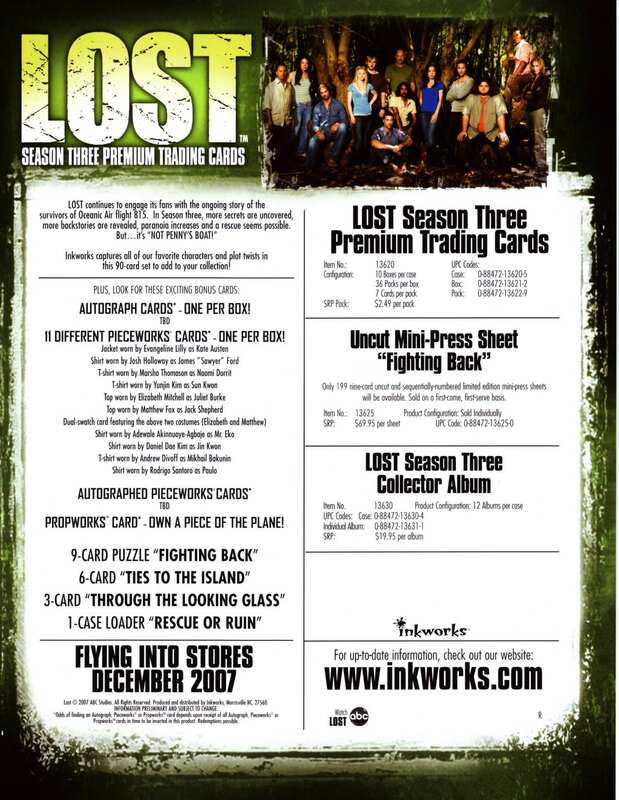 ), an autographed Propworks card (featuring a piece of plane and the pilot, Greg Grunberg's, autograph), a 9-card "Fighting Back" puzzle card set,a 6-card "Ties to the Island" set, a 3-card "Through the Looking Glass" set, and a "Rescue or Ruin" case topper card (inserted one per case). 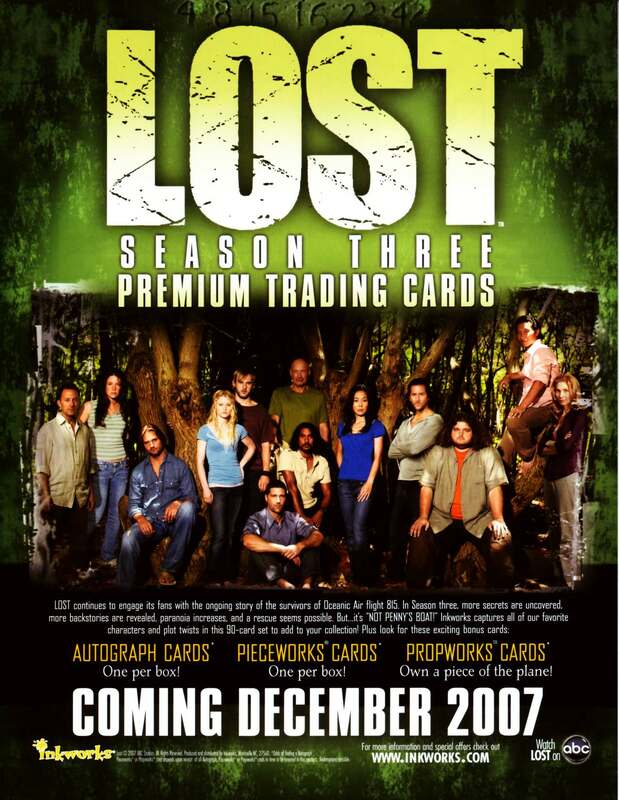 There are 10 different Autographs including Ian Somerhalder (as Boone), Michael Emerson (Ben Linus), and Elizabeth Mitchell (Juliet Burke) among others. There are 11 different Pieceworks cards including one dual-swatch card featuring a top worn by E. Mitchell and a top worn by M. Fox (Jack Shepherd). Customers pre-ordering 2 cases (20 boxes) receive a special Pieceworks card - either PW-12A featuring a shirt worn by Rodrigo Santoro (Paulo) or PW-12B featuring a shirt worn by Kielie Sanchez as (Nikki).